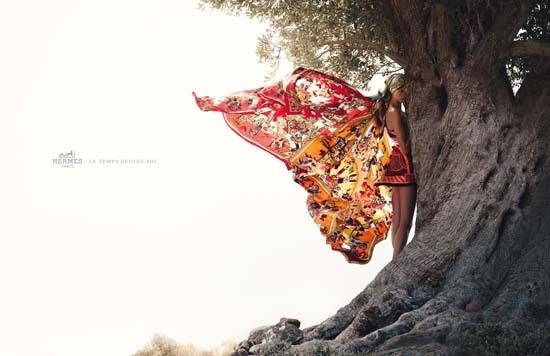 I love Hermes silk printed scarves, especially the new shawl size carres. If money was not an object, I would buy a few of the same print and wear them as a dress/headscarf/outfit...something like the model above...except I won't be leaning against a giant tree. I'll be sipping on a ice latte on a patio in the French Concession...yup, that's what I would be doing!